Set in 1979 Santa Barbara, this film follows Dorothea Fields (Annette Bening), a determined single mother and divorcée in her mid-50s doing her best to raise her adolescent son Jamie (Lucas Jade Zumann) in a time of sweeping cultural change and rebellion. More than anything, she wants to make a good man of her son without the influence of a male presence. 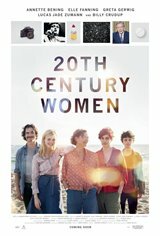 The boy's coming-of-age is further shaped by Abbie (Greta Gerwig), a free-spirited photographer living as a boarder in the Fields' home, and Julie (Elle Fanning), a provocative teenage neighbor, both of whom impart the ways of the world and teach him different lessons about love and freedom.